Here are some pictures of our weekend. 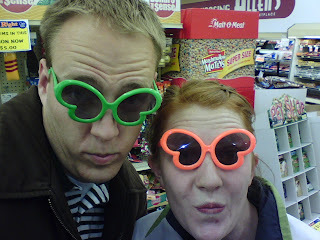 This first one is of us at the grocery store on Friday, Lori saw these glasses and couldn't resist. 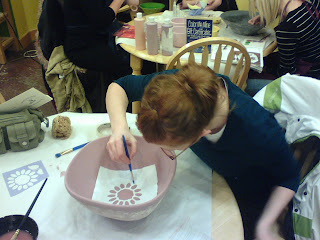 Then on Saturday we went to Color Me Mine and Lori made this nifty bowl. 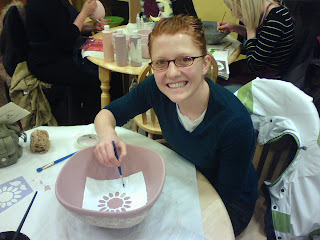 I like the bowl....glad you posted it! I gotta tell you, the first thought that came in my mind as I saw the top picture was "How did they get Elton John to pose with Lori?" No kidding! Way funny! Nice! The glasses are the best!